5. In the centrifugal fan selection, the most important is long-term economic operation quality and efficiency, other than one-time investment. 6. In the centrifugal fan selection, be seriously compared with each other, give preference to higher efficiency, smaller size, lighter weight, larger adjusting range one. 7. For the frequency conversion centrifugal fan, please note that the system calculated total pressure losses are rated pressure, and centrifugal fan power needs to append 15%~20% on calculated value. 8. Pay attention to the matching relation of pipe system resistant characteristics and centrifugal fan characteristics. For stable operation, centrifugal fan needs to work around the highest efficiency point, and the working point is right of the pressure peak point in the performance curve (in larger airflow side, in general, the working pressure is 80% of pressure peak point). Centrifugal fan design point efficiency should not be less than 90% of the highest efficiency. 9. 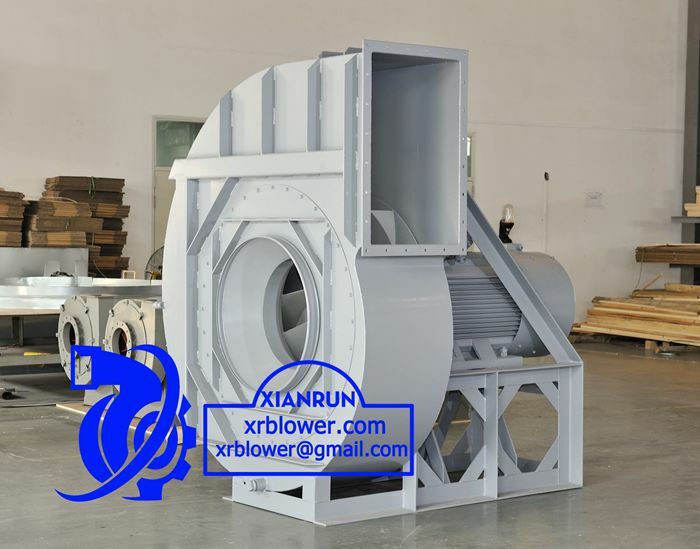 For more than one centrifugal blowers working in parallel or in series, it is better to select the same model centrifugal fans. Copyright © XIANRUN BLOWER INTERNATIONAL TRADE CO.,TLD All rights reserved.